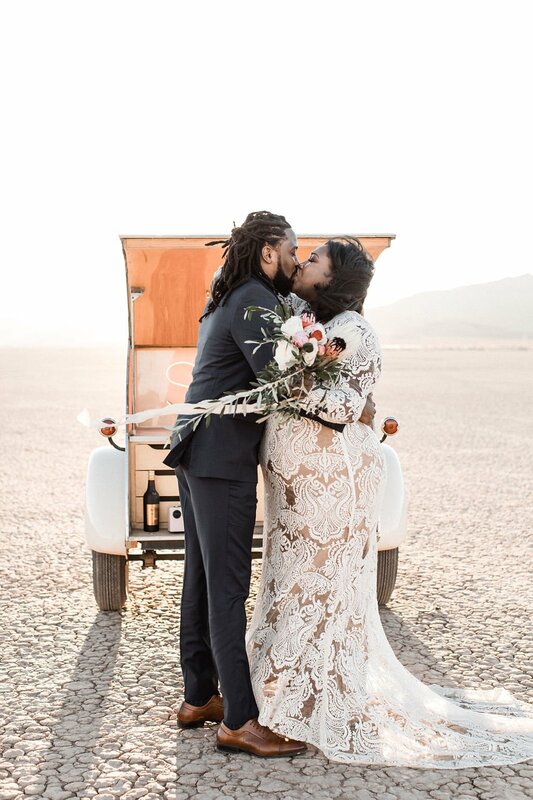 Shawna & Johnny are the epitome of sweet & in-LOVE! 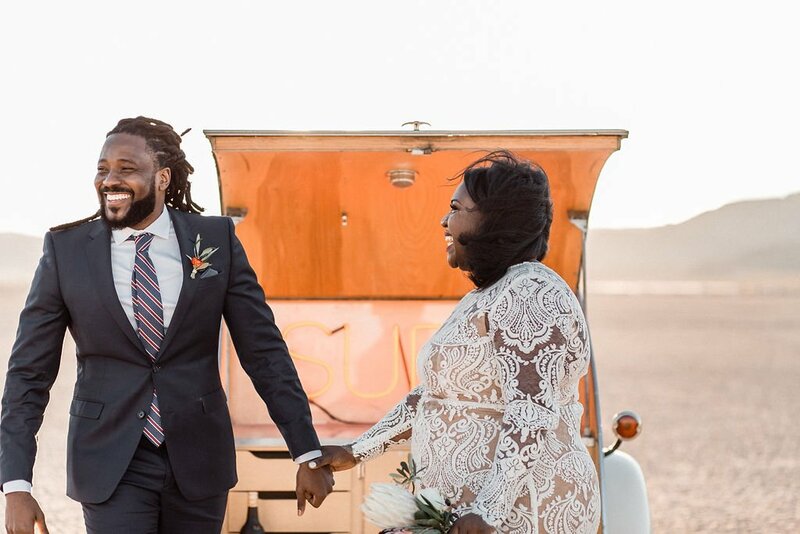 They met one another by complete chance & with the beauty of social media, their relationship began to flourish. 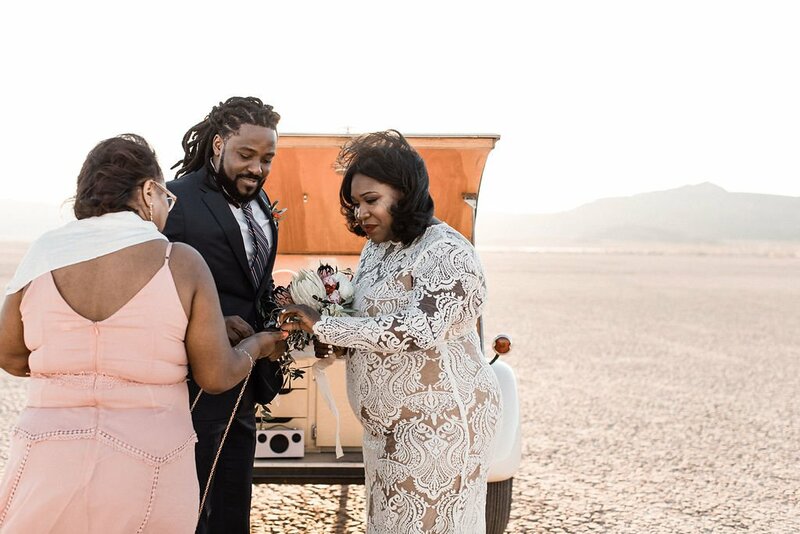 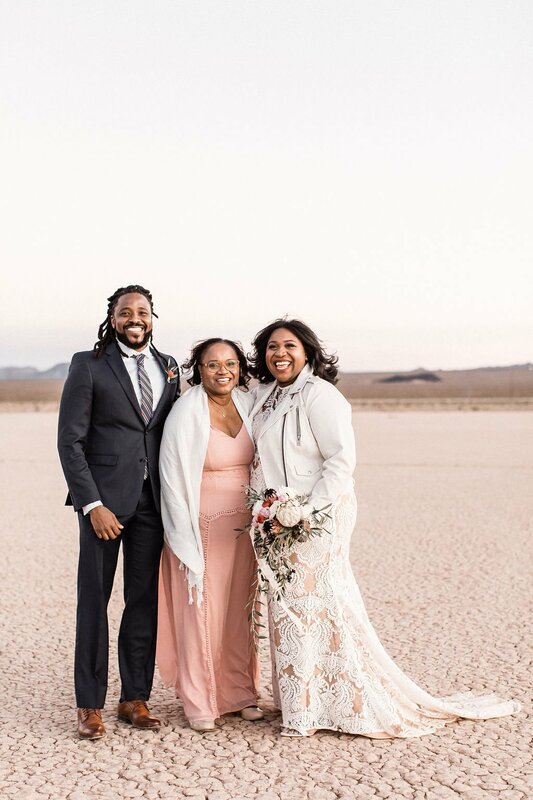 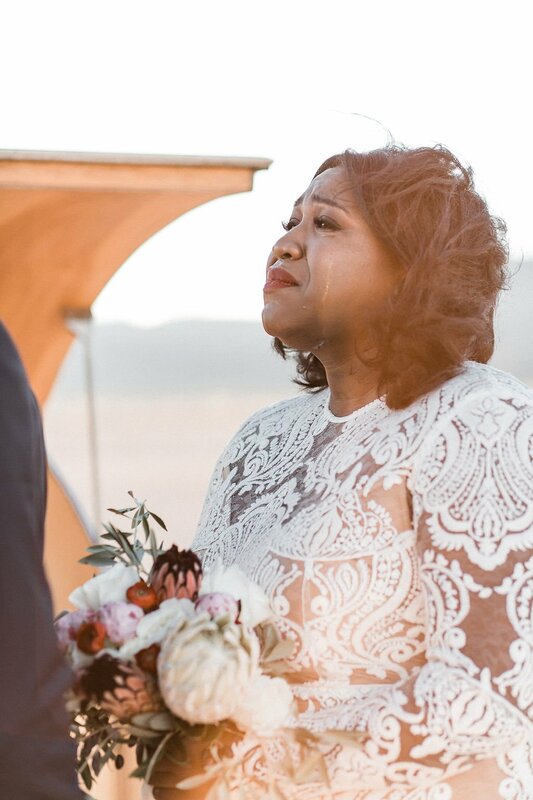 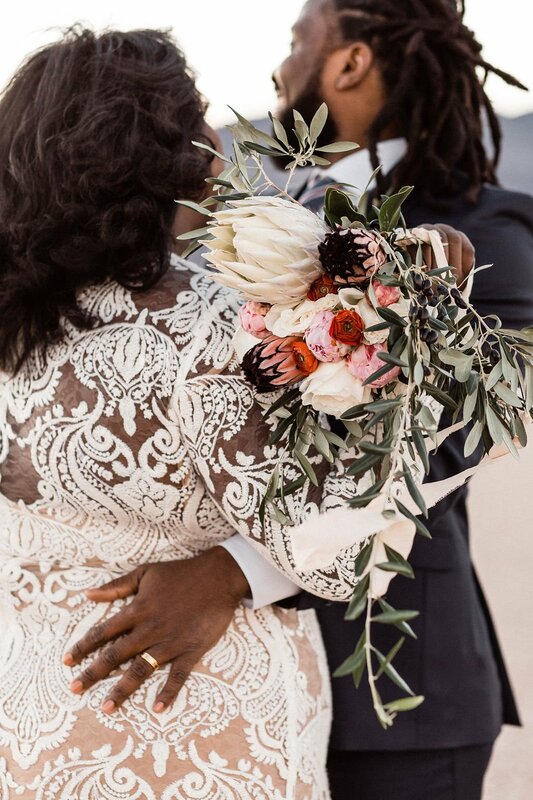 Shawna brought her mother to the wedding & it was a truly intimate & heartfelt ceremony. 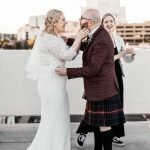 Lots of tears & laughter! 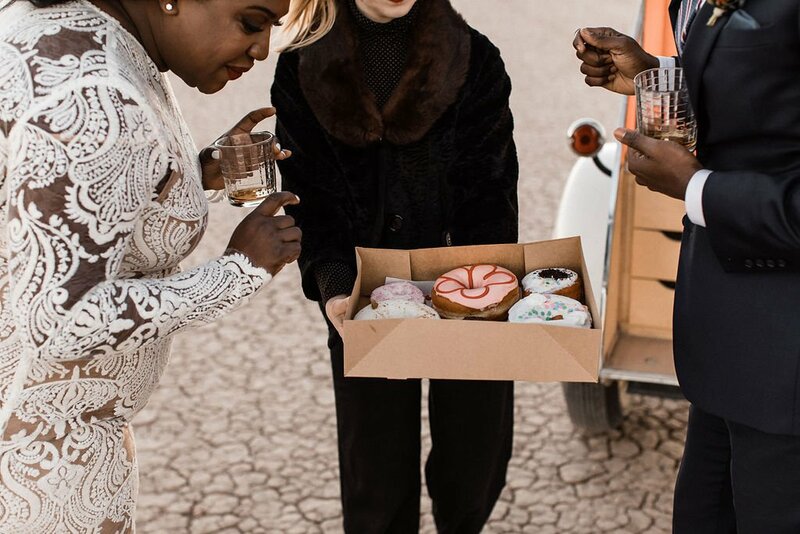 With celebratory donuts, champagne & Haitian rum that they brought themselves! 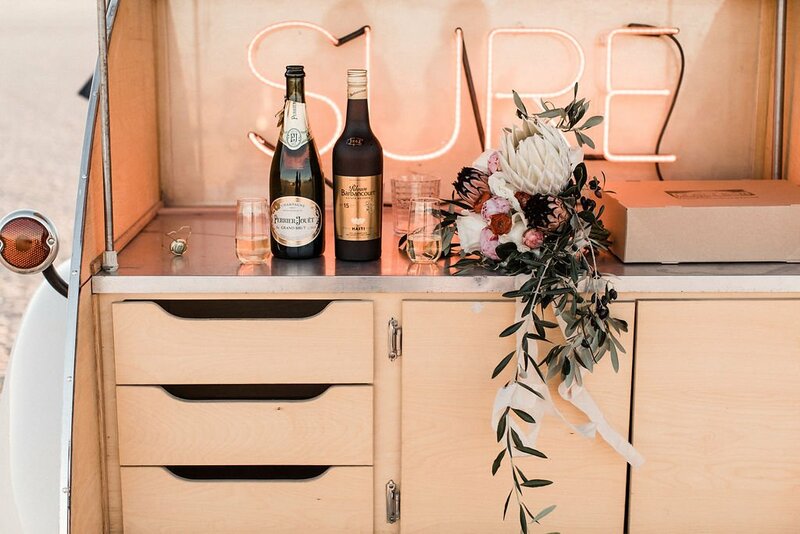 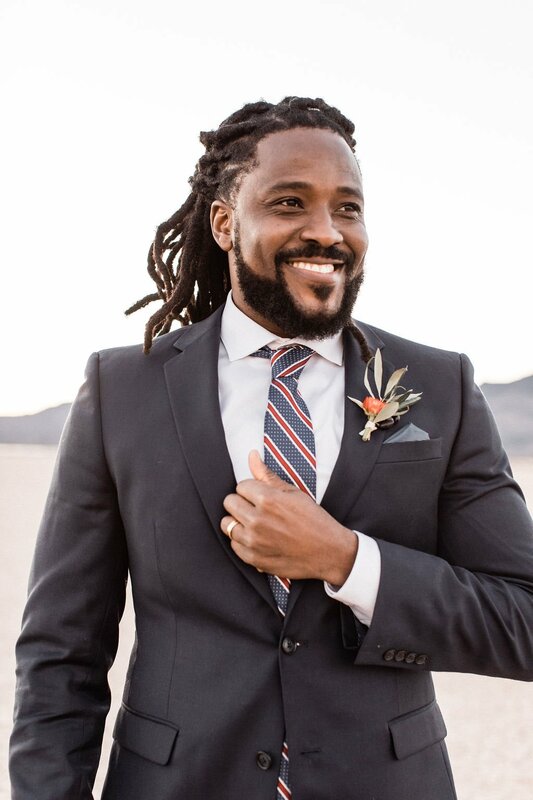 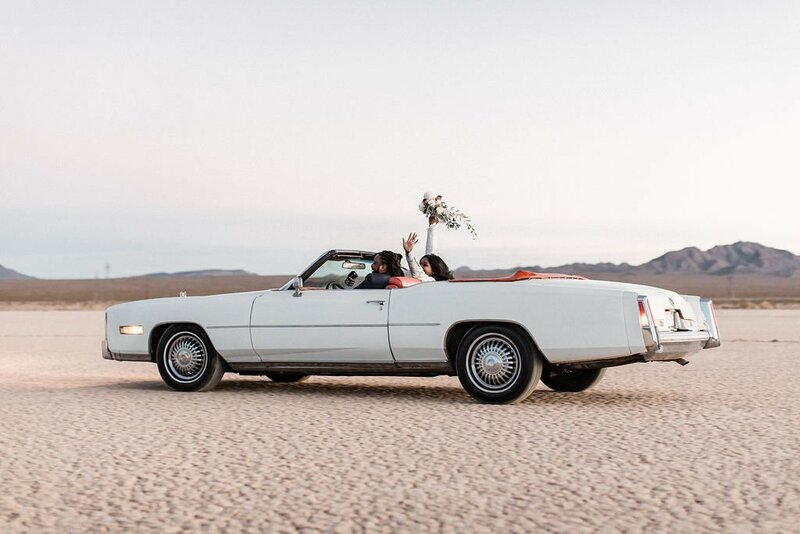 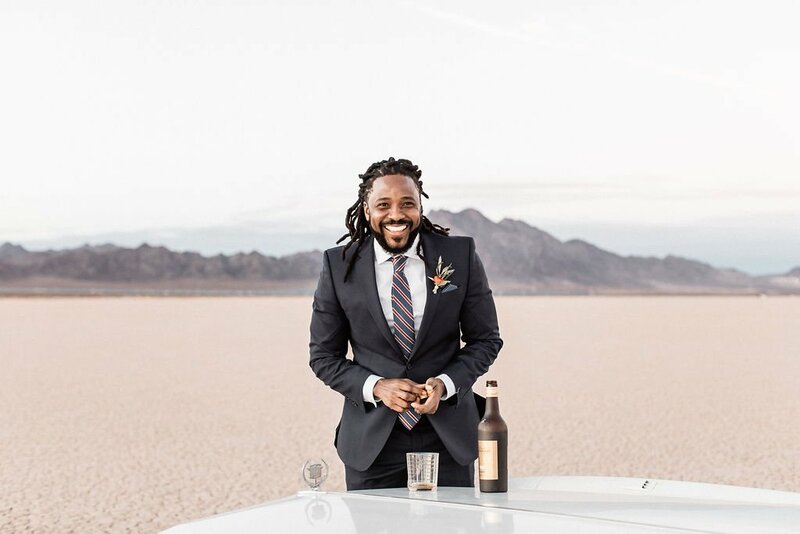 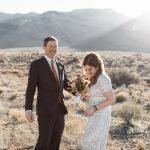 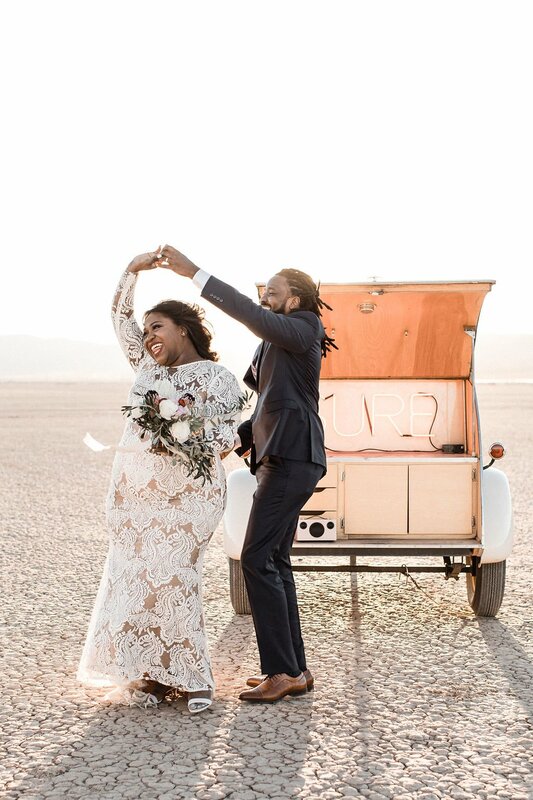 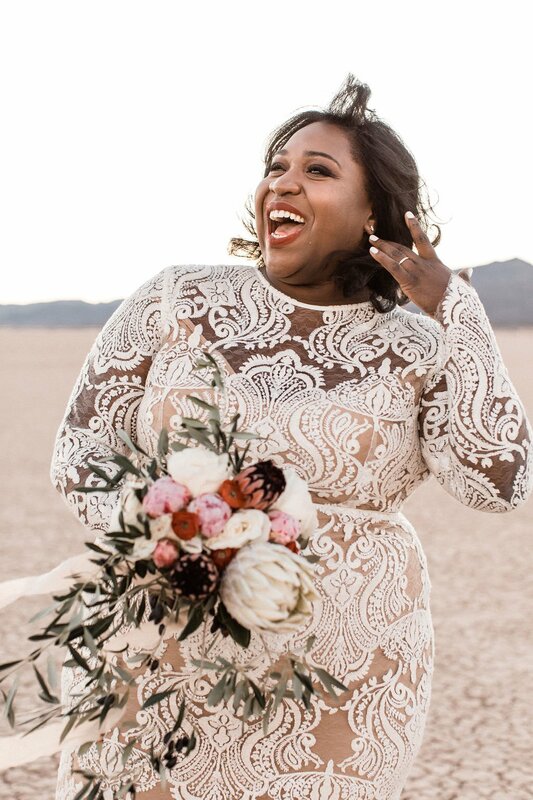 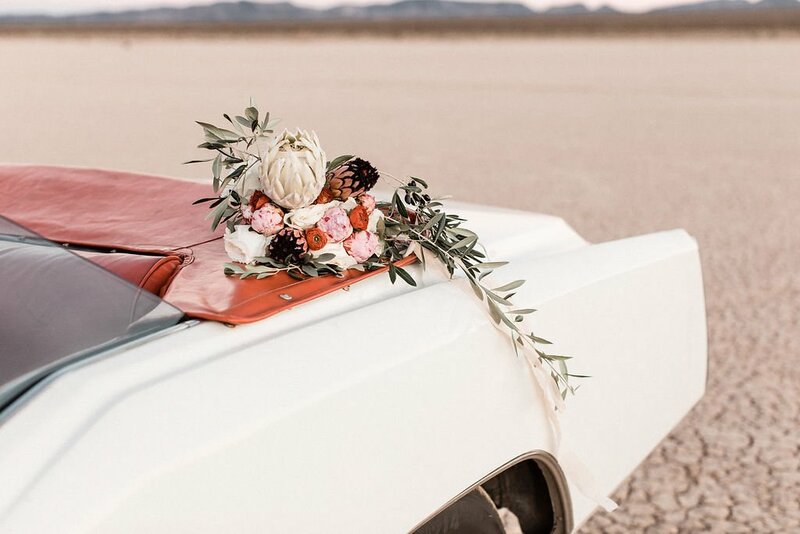 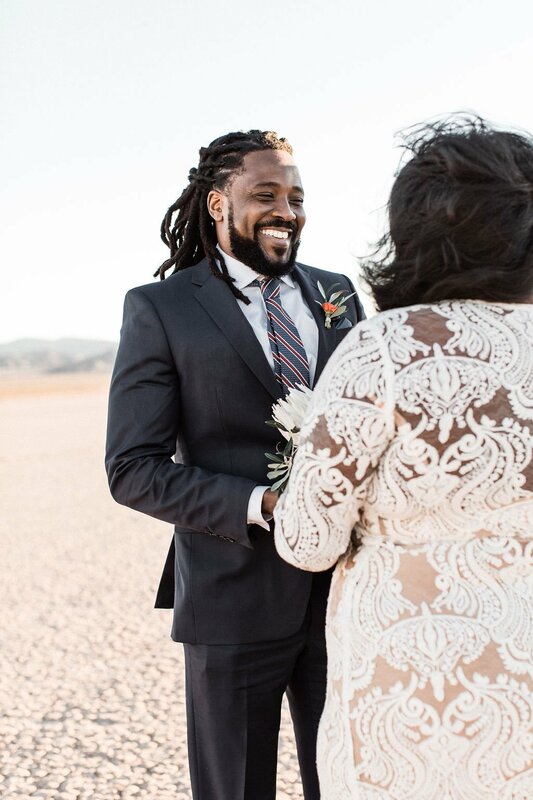 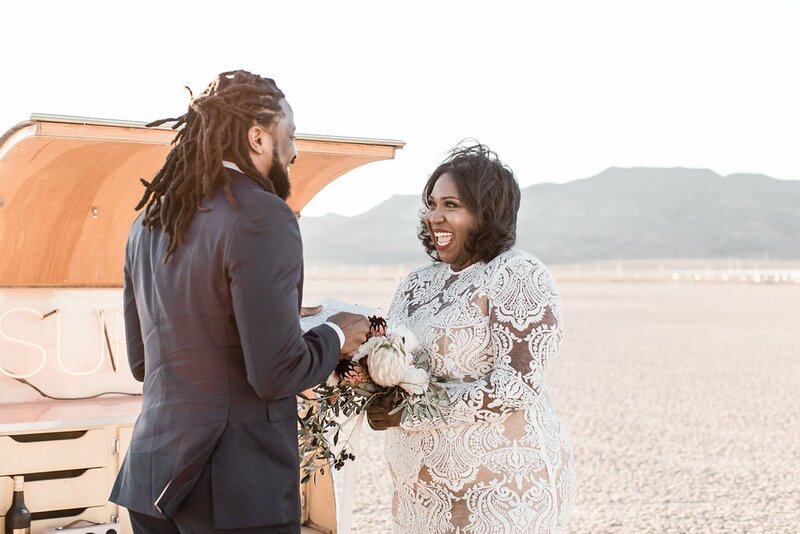 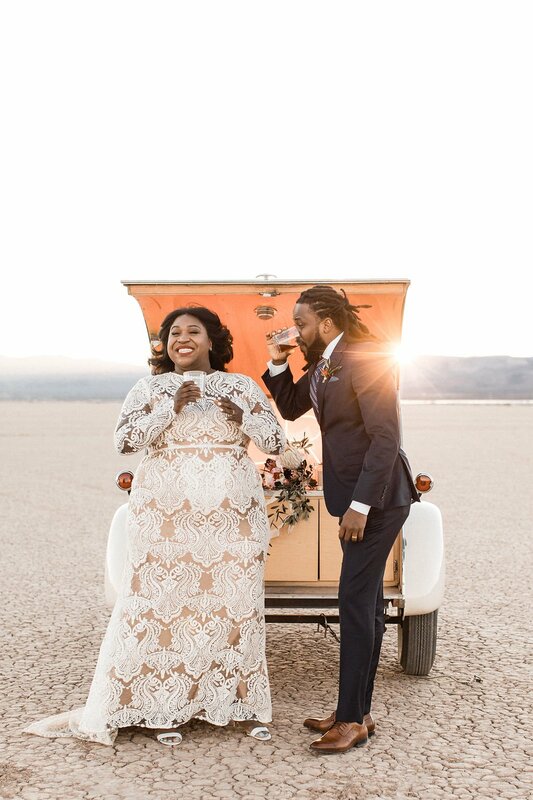 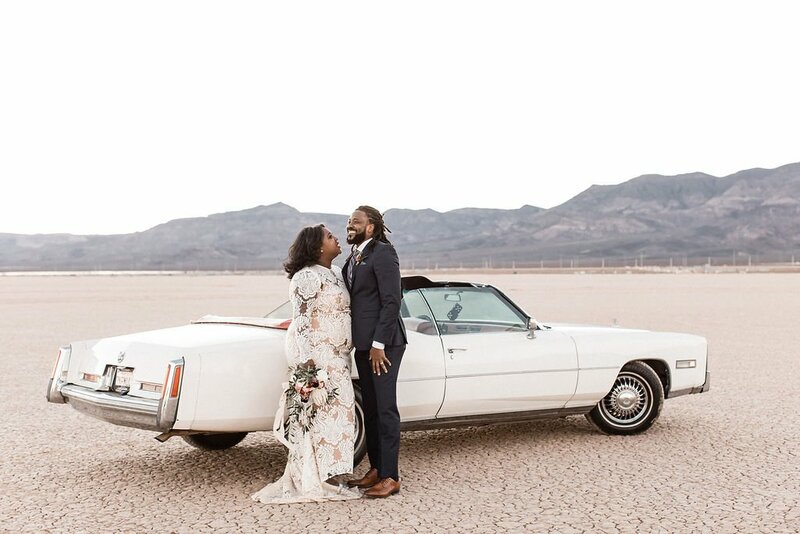 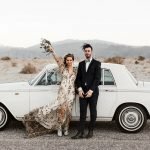 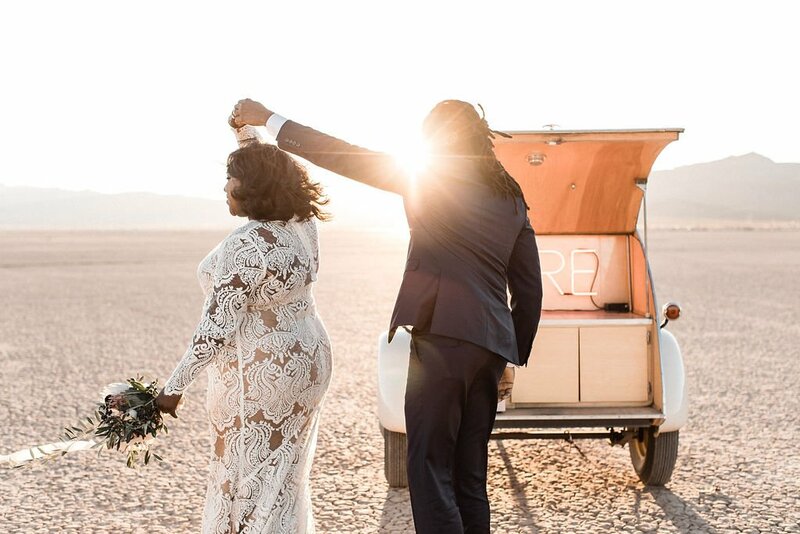 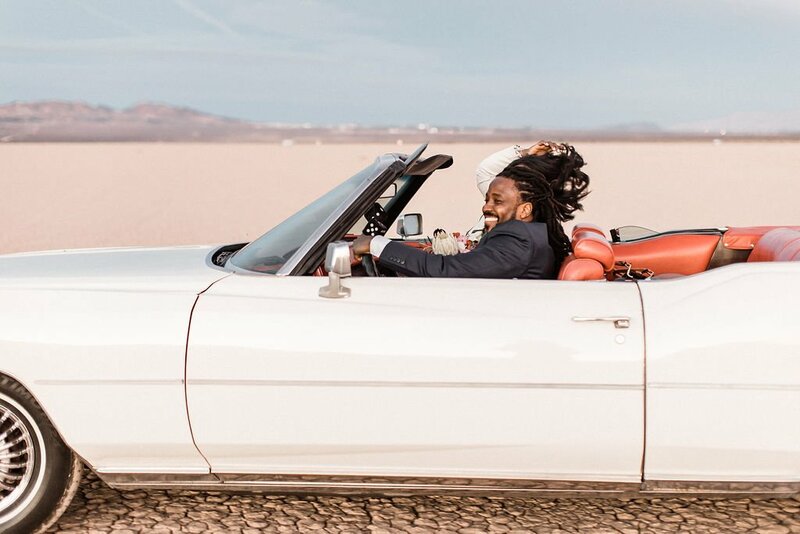 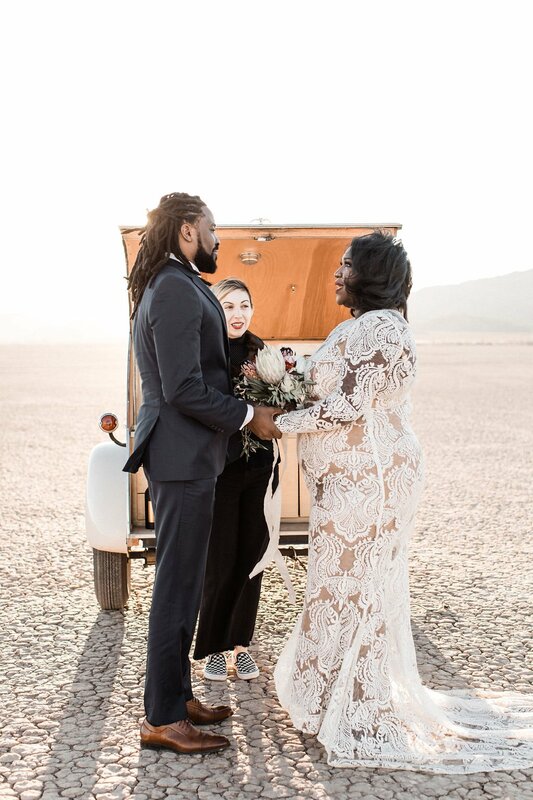 Throw in their vintage ride & you’ve got yourself a vintage Vegas elopement for the books!